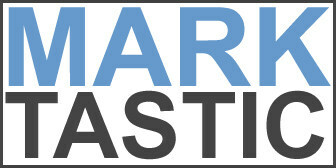 Marktastic » About | It's not just Mark, it's Marktastic! I am Mark Williams. I’m live in suburban Saint Louis, Missouri. I work as a Network Administrator and play with computers for a living. Over the years, I have seen numerous people who are genuinely smart people, but who lack the confidence and competence to truly use their computer. Most folks are scared to break their computer and are too timid when it comes to molding their system to their will. Fear and lack of knowledge permeate computer use. Folks are scared to change anything for fear of breaking their computer. Or they don’t know how to change anything beyond a default setup and pay for more computer than they ever need when all they do is play solitaire and watch videos on YouTube. It will serve as a technology/how-to site. A space to share tips, tricks and ideas to help you get more from that big old hunk of computer you are staring at. It will serve as a personal blog. I’ve had 3, maybe 4 other blogs and was never committed to updating them with any sort of regularity; this attempt hopes to change that. If there is a topic you’d like me to cover, please contact me. There is no question that is too basic. Sometimes it’s a very basic impediment that stands in the way of a significant gain in comfort level. Marktastic? Really? Do you think that much of yourself? While I do have a tempered high opinion of my abilities, I also have a very common name. While soccer is okay (if you take out all the flopping and diving) and some of these other Mark Williams characters sound pretty interesting, they all make it difficult to secure a unique domain name that has the words mark and williams in it. I set about searching for other domains that were short, sweet and memorable. And thus, marktastic.com came to be. Should you find this site helpful to you, please consider chipping in a buck to show your appreciation.